A private school for children with autism is being investigated after allegations a boy at the school was being held unsupervised in a lockable fenced structure he called a "cage". Lynda Jordan says she saw her son, Toby, locked in "the cage"
Officials from the NSW Board of Studies Teaching and Educational Standards body visited the ASPECT Macarthur School on Sydney's western fringe and interviewed the parent of the child on Tuesday after 7.30 notified Minister Adrian Piccoli's office of the complaint over the weekend. The boy, Toby Jordan, now 13, has autism and a moderate intellectual disability and was sent to the lockable structure with a high fence, which the school referred to as the "top playground" when his behaviour escalated and he had "meltdowns" at school. "The 'top playground', it's not a playground," Toby's mother, Lynda Jordan told 7.30. "It has an unused boarded up cubby house in it and the children themselves don't call it the top playground - Toby called it the cage." Ms Jordan, who now does distance education with the boy, said she had no idea Toby was being sent to the "top playground" until she arrived at the school one day unannounced. "I'd come down that road and heard that someone was screaming and pulled over to the side of the road and witnessed them bringing Toby out of the main playground gate," she said. "They had him slightly elevated from the ground and both had hold of his arms and his wrists, had them turned back. "As they escorted him through a gate outside of the school, opened the gate to the lockable structure, pushed him in there, shut the lockable structure, turned around, and walked away. "(Toby) was kicking, screaming, and fighting - he was hysterical." Toby saw his mother showing the photographs of the "top playground" to 7.30 and also volunteered that the teachers walked away from him after leaving him in there. "I was trying to climb over there, (trying to get out). It's hard to get out because see how high the fence is?" Toby said, pointing to the photograph. When asked how it made him feel being in the top playground, he said he felt "sad" and he never wanted to go back to the school. When Ms Jordan later applied through a solicitor for the school's records, she said she discovered Toby had regularly been sent to the "top playground" when his behaviour was considered unmanageable. But she said she had never approved this strategy and if she'd been asked, she would have said no. She found a behaviour management plan, drawn up by the school, which did not bear her signature – she supplied this document and others to 7.30 showing regular use by some teachers of the "top playground". "It's traumatic. He's still traumatised," a tearful Ms Jordan said. "He trusted them... we sent him to school every day and said 'the teachers know the right thing to do, listen to the teachers', you know, we trusted them, we told him to trust them, and they weren't trustworthy. "They failed. They failed Toby." his peers in his classroom and staff. ASPECT's national director Dr Trevor Clark disputed Ms Jordan's version of events, saying she had agreed to the plan, that Toby Jordan had never been left alone, and the lockable structure was simply a playground that was still in use. 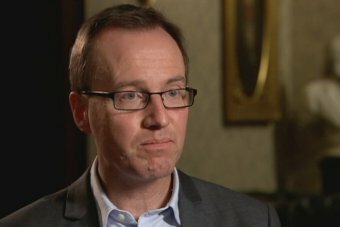 "No teacher leaves a child with autism unsupervised no matter what situation within a school or within a community and the reason for that is we have got a duty of care to our children - it was exercised at the time, it is very unfortunate that there was a different view about where staff were," Dr Clark told 7.30. When asked who told him Toby Jordan was not unsupervised, he replied "that's what the investigation showed". But he conceded the investigation was conducted by the principal of the school, under the direction of his senior manager in education. When asked if he was saying whether Ms Jordan or her son was lying, he replied that he was "not saying that". "It was a thorough examination and interview of all of the staff involved in terms of what happened, and that wasn't the result," he said. Greens, cross benchers and the NSW Opposition are now looking at conducting an inquiry of their own. 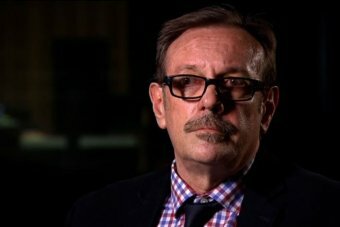 Greens MP David Shoebridge and several of his crossbench colleagues recently met with 30 families and some teachers from across NSW with similar complaints. "It was the same story being repeated time, after time, after time, after time, by parents and teachers," he told 7.30. "It was a story sometimes of quite severe physical abuse – some pretty extraordinary stories of children being restrained, being put in structures that looked to all the world to be a jail cell in a school. "Children coming home bruised, and then when the parents make a complaint, the parent becomes victimised by the system. "When it's one case, you can turn a blind eye to it as an MP, but when you get case after case after case, well that's when I think we need to move to have an inquiry." University of Newcastle education lecturer David Roy, who trains teachers and was a school teacher himself, was one of those parents and he has passed on to 7.30 complaints from other families who have moved to home-schooling or even moved interstate. about the treatment of children with autism and disabilities in schools. He said teacher training for managing children with disabilities, particularly autism, was woeful and children were accordingly missing out on getting an education. "What scares me are the most vulnerable, the ones that can't speak up for themselves, are the ones under the most danger and they are being abused," Mr Roy said. His son complained of being locked in a cupboard at his school, a public early intervention unit for children aged between three and five, and he also came home with bruising which Mr Roy and his wife Carly Dock thought looked like finger marks. The NSW Education Department said in a statement it was investigating the complaint and NSW Education Minister Adrian Piccoli declined an interview, but sent a statement to 7.30. "Any allegation of a child being mistreated at school is treated seriously, complainants must be treated with respect, and allegations must be investigated promptly by the appropriate schooling authority. "In accordance with the mandatory reporting guidelines, where any alleged conduct involves risk of significant harm to a child, the matter must be reported to Family and Community Services (FACS) and the NSW police. "New allegations provided by 7.30 have been referred to the Board of Studies, Teaching and Educational Standards and the Association of Independent Schools. I have instructed these agencies to investigate the matters raised." The ABC's 7.30 Report Will Be Airing Allegations About Incidents At One Of Aspect’s Schools. All the allegations were made three to four years ago. They were properly investigated at the time, including a child protection matter by an accredited child protection investigator, in line with the Children and Young Persons (Care and Protection) Act 1998 and an investigation undertaken by NSW Police. None of the allegations was sustained. This report highlights however, some of the challenges for students on the spectrum, their families and the people who support them. At Aspect, we focus on the strengths and interests of the person on the spectrum as the most effective way of working with them. We review and revise the best ways of positively managing each person's challenging moments in partnership with their families. Every student in our schools has an Individual Education Plan. When required, students also have Behaviour Support Plans which are developed using Positive Behaviour Support (PBS), an internationally recognised evidence-based approach to supporting people with a range of needs. Both sorts of plans are developed by staff in consultation with families and then agreed to by both staff and families. Behaviour Support Plans are regularly reviewed by a panel of specialists and updated as required. Aspect school staff receive training in the use of Positive Behaviour Support. In all our work Aspect is committed to responding appropriately and preventing incidents of abuse, injury, neglect and exploitation of the people we support, to ensure the safety and security of every student at our schools. Autism is a lifelong developmental condition characterised by differences in social interaction, impaired communication, restricted and repetitive interests, and sensory sensitivities. An estimated 1 in 100 Australians are on the autism spectrum, which equates to approximately 240,000 people. Autism Spectrum Australia (Aspect) is Australia’s largest national not-for-profit provider of services and supports working with people on the autism spectrum and their families. A registered NDIS provider with 50 years of experience, Aspect operates one of the world’s largest network of schools and satellite classes for students on the spectrum in addition to therapies, intervention and lifestyle options. For more information, visit autismspectrum.org.au or call 1800 277 328. Please refer to Quality Management Framework and Stakeholder & Community Engagement for further information on our feedback and complaints policy. Please refer to Duty of Care & Dignity of Risk and Safeguarding the People We Support for further information on our safety and welfare policy. All Aspect Policies are available on our website. A copy of this Autism Spectrum Australia (Aspect) Media Release can be downloaded here. Additional photographs of the top playground at Aspect Macarthur School.